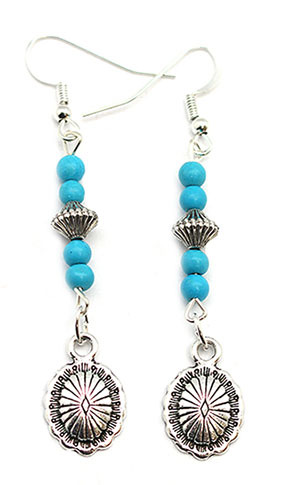 This earring has magnasite beads with a corrurgated silver plated bead and a pewter concho dangling at the bottom. It measures approximately 2 5/8" long including silver plated french wires by 1/2" wide concho. It is Navajo hand crafted by Sandra Francisco.